You may pay the reservation amount online with your credit card via a secure site. Once you make the payment, your reservation will be instantly confirmed. * Important: The email address that you enter in the payment form must not be associated to a Paypal account. You may pay the reservation amount online with your credit card via Paypal. Once you make the payment, your reservation will be instantly confirmed. 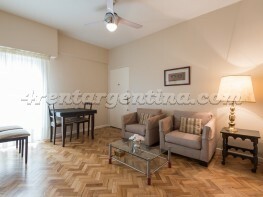 You may pay the reservation amount at For Rent Argentina office, which is located on Av. Santa Fe 2930, 1st Floor, Buenos Aires, Capital Federal. 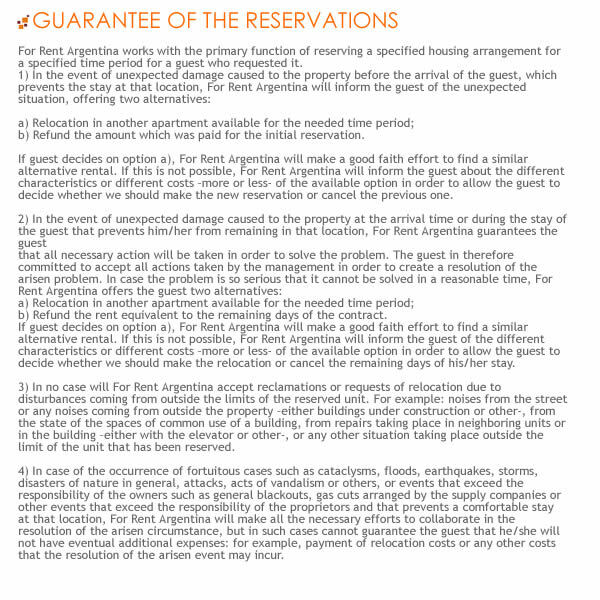 * We will book the apartment you chose for 24 hours, until we receive the payment (after which your reservation becomes effective). 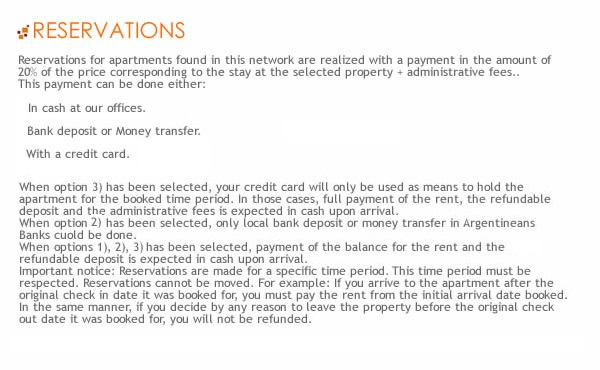 You must send your complete credit card information just to hold the reservation. 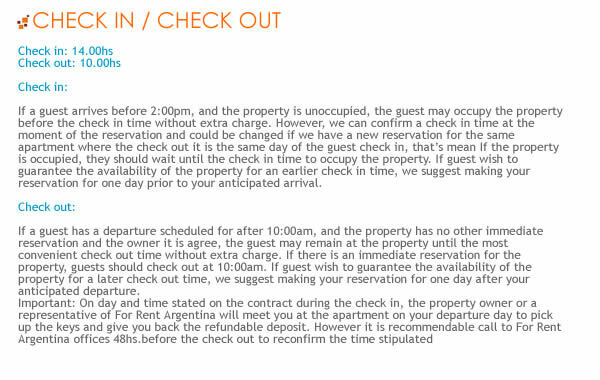 No amount shall be charged unless you cancel the reservation (See our Cancellation Policy). 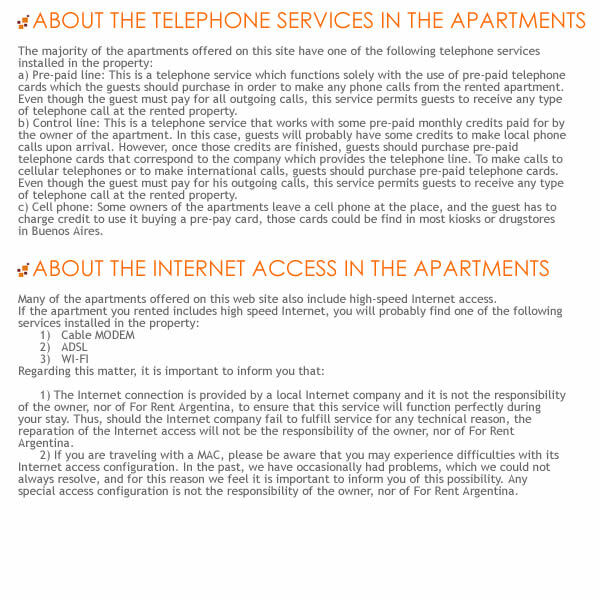 * We will book the apartment you chose for 24 hours, until we receive and confirm your credit card information (after which your reservation becomes effective). 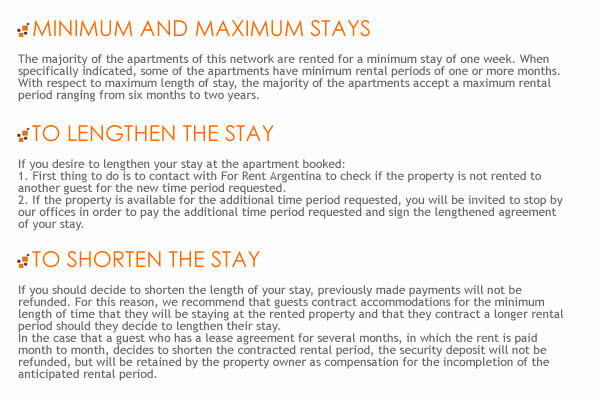 Upon check-in, you must pay the full cost of your stay. You may pay the reservation amount via deposit or bank wire transfer into our account in Argentina from any bank or branch in the country. 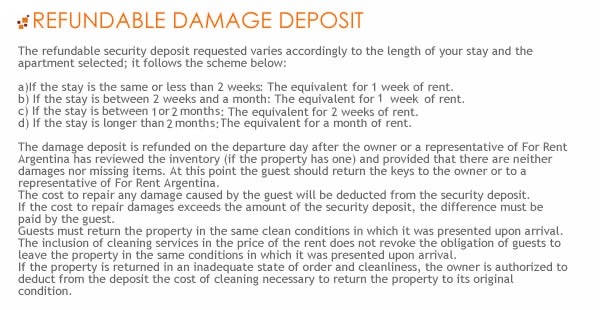 * We will book the apartment you chose for 24 hours, until we check if the deposited amount has been credited to our account (after which your reservation becomes effective).